Are you planning to visit Walt Disney World during the holiday season? Crowds can be massive during peak periods, and on occasions, they can feel unmanageable. Easter and Spring Break are some of the busiest times of the year at the Magic Kingdom. We visited during Easter and Spring Break 2018, and we managed to Beat the Crowds at the Magic Kingdom. We visited the Magic Kingdom on Tuesday after Easter, and the crowds were massive. Cast Members were holding signs throughout the day informing you of what side to walk. Lines regularly had starting points well outside there normal boundaries, e.g. It’s a Small World line was at least 100m away from its traditional border. 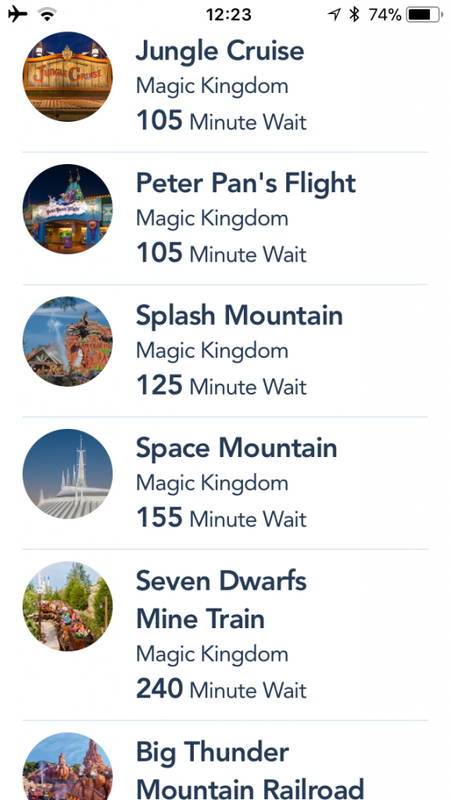 Waits for most attractions were over 1 hour with Seven Dwarfs Mine Train having a 4-hour wait. I’m not sure how close to the maximum capacity the Magic Kingdom was this day, but it is hard to imagine the park could safely hold many more guests. However, we beat the crowds and and had a fantastic day. During the day we rode Tomorrowland Speedway, Splash Mountain, Buzz Lightyear, The People Mover, Peter Pan, Dumbo, Little Mermaid, Big Thunder Mountain, The Carousel, It’s a Small World and Pirates of the Caribbean. In addition, we never waited longer than 20 minutes for any attraction, plus we were not even in the park for 7 hours! 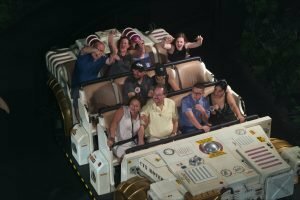 We certainly managed to beat the crowds at the Magic Kingdom, and our video shows our simple strategy of how we did it. If you want more tips on how to beat the crowds at Walt Disney World we have created a handy guide. Our Guide to Walt Disney World has Tips & Tricks to plan your Disney World Vacation.